What are two of the most common words provided as advice to online business owners? You will not be able to go far online without being told “focus” and that you should have a “niche”. It does, after all, make sense. People are searching online for highly specific things. They don’t want just a toyshop, for example. No, what they want is a toyshop in Exeter that specialises in old metal die-cast cars from the 1960s. So, if you had a website that did precisely that you’d be onto a winner. Right? The problem with having super-tight niches focused on specific target customers means that you do not demonstrate any breadth of knowledge or experience. Unless you have several interconnected websites so that visitors can get a picture of your wide expertise, then there is the potential for an element of doubt. This depends, of course, on the size of the niche. If it is as narrow as my toy cars in Exeter example the likelihood of getting more than a handful of visitors each month is pretty slim and they’d be so pleased they had found just what they wanted they’d overlook that breadth of knowledge issue. Few websites have such a narrow target, though. Indeed, if you do have such a narrow target your problem is that you cannot create a sustainable business in that way. You simply will not have enough customers. This issue was highlighted in recent research for Elance, the freelancer’s website. This found that instead of people booking people who were “experts” at something because that single thing was their specialism, the bookings actually went to people who constantly expanded their range of services. The research looked in-depth at the booking data on the website and discovered that the most popular workers were those who offered to do work which was an extension of their previous work in another sector or specialism. In other words, the most booked freelancers were those who were not specialists. The study also found that generalists were also not booked much – the kind of freelancer who will do anything for anyone. It seems that employers wanted a specialist but a specialist who wasn’t too special. This is the same impact seen with niche sites online. 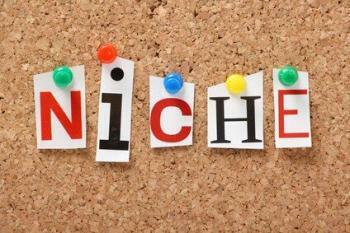 Tiny niche sites can work, but often more of a hobby income rather than a real business. To make a real business out of focus and niches a website owner needs to move beyond the narrow niche, finding ways of expanding what they do, albeit on additional, interconnected websites. As a strategy it seems that focusing on one narrow niche online could be limiting. But constantly widening your niche and growing your business into similar or related areas is the way to attract more custom. People tend to prefer businesses that are not “too special”.